Have a state of the art digital lab to deliver Microsoft workshops, coding, spreadsheets and app design. Extra curricular opportunities with qualifications. The idea of a digital lab is to boost the local economy with more jobs and voluntary opportunities. The digital lab will not only be used for computing, coding or spreadsheet courses, but will also be as a vital study area for univeristy students and adults as well. For a small membership fee visitors will get the chance to be in a state of the art digital lab with alot of digital workshops, study rooms, seminar classes, lecture auditorium and rooms to hire for meetings or other purposes. It will also work to having a multi faith prayer room to encourage again more use of the building with possibly religious classes for all ethnicities, tutoring and much more. With Luton being home to one of the biggest universities and home to one of the busiest airports, this gives commuters and business residents as well as students a sociable and relaxed time in an affordable home of comfort and the chance to learn and boost digital skills. This project is a phenomenal idea as local buildings such as libraries and coffee shops tend to get really busy for meetup points and sometimes there arent enough computers to use. Secondly the building will provide alot of tech support as well as alot of classes on simple digital skills such as sending emails etc. for which some peoplw struggle and librarians get a bit confused on how to work things. This way IT staff on site can help and customers can get support from seminars and workshops. It brings in leading speakers and big company giants like IBM and Microsoft and APPLE that would invest more in the community by bringing on the next generations of ethical hackets, coders and app designers and provides a qualification for all applicants and future job opportunities. 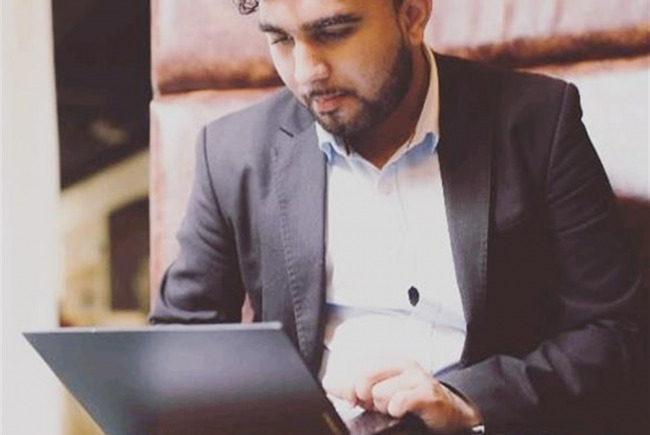 Project Delivery Manager: Danyul Khan The Project Delivery Manager takes legal responsibility for receiving and spending the funds raised and ensuring the project is delivered.